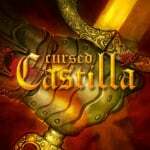 "A thousand credits and a slate"
Maldita Castilla DX is coming to the 3DS eShop this year, a fact that fans of Capcom's Ghouls 'n Ghosts should be very happy about - the game is a love letter to the epic adventures of Sir Arthur and boasts gorgeous 2D visuals, excellent music and addictive gameplay. FlyHigh Works is handling publication in Japan, and has just released a new trailer for the game. It showcases some gameplay footage interspersed with video of a suit of armour, but what makes this trailer really sing is the hilarious voice-over track, which features an enthusiastic English actor delivering some almost non-sensical dialogue. While it gave us a chuckle, the new trailer has made the wait for the release of this classic arcade platformer even harder. Is it on your shopping list? Yeah well this is just the standard trailer for all formats with japanese subtitles. Nothing new or spectacular. Got to love the loose grasp of English in Japanese pop culture. So often it just consists of great tangles of jibberish, barely held together by the equivalent of grammar cellotape. Somebody was channeling their very best Patrick Stewart impression there. Is this stupidly difficult like the Capcom originals, or will I actually be able to get past level 2 in this game? An homage to one of the most difficult and frustrating games of all time which I could never get past the first level of? Pass. @GravyThief vcery very playable and accessible for all players. I will be checking this one out. I loved inching my way through Ghouls and Ghosts. @YANDMAN in that case this already sounds better than the Capcom games in my opinion! At this day and age Capcom can just kill themselves and sell all their properties to these other studio who could makes their games better than them. @retro_player_22 let us hope they sell the MM franchise to someone who actually respect it. @GravyThief Hugely different and much easier. The first time i played it i made it to the third level. @Damo Careful not to give away your age man! I'll buy this only because of the name. That roughly translates to F&ck!9 Castle or damn castle even though Castilla isn't exactly castle it should be Castillo but yeah whatever. I still think is cool. @Damo @HappyMaskedGuy Ah! Good news! Let there be joy and celebration! Let jubiliation reign! whats the difference between the ex and dx versions?